The sentencing of Ottawa's David Lojk has renewed calls for a private member's bill that would provide Canadians a degree of immunity from prosecution when they seek help for someone who's overdosing. Calls are being renewed for the passing of a private member's bill that would provide Canadians a degree of immunity from prosecution when they seek help for someone who's overdosing, after an Ottawa man was sentenced to 5 1/2 years in prison this week. David Lojk was sentenced Thursday for committing an indignity to a human body, as well as other offenses, in the death of Deepak Beaudoin-Reichmann. 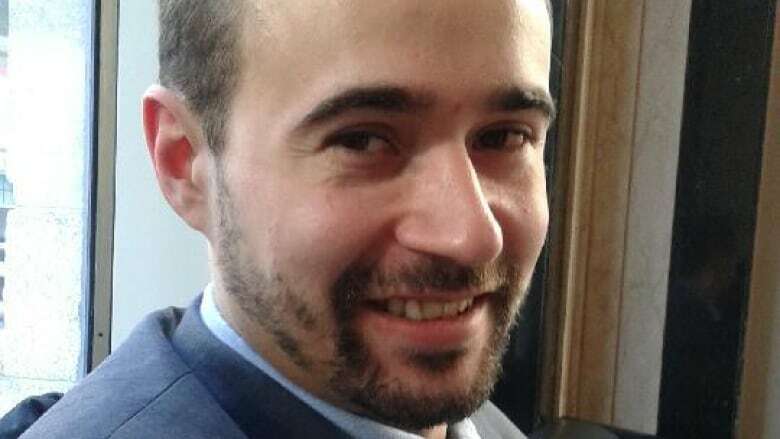 In October 2015, the 27-year-old Beaudoin-Reichmann, from St. Catharines, Ont., overdosed while visiting Lojk's apartment in downtown Ottawa. Several friends watched as Beaudoin-Reichmann's condition deteriorated for many hours, court heard — yet no one called 911. According to Lojk's text messages to his friends, read in court during his sentencing hearing, Lojk wrote that his "buddy from out of town [was] really messed up" and that "his head is sideways, eyes open in different directions, not responding to name, groaning." A friend responded by text that Lojk should "get him to [the] ER." Lojk ignored the advice and Beaudoin-Reichmann died in the apartment about a day after he took the drugs, believed to be MDMA and cocaine. One week later, Beaudoin-Reichmann's body was recovered from a creek near Kemptville, stuffed in a duffel bag. ​"How many tragedies have we seen with young people succumbing to fentanyl, methamphetamine, ecstasy after a rave and being abandoned by their friends?" said Baum. "This bill makes eminent sense and I do think it has the potential to save lives." Vanessa Beaudoin, the victim's sister, echoed those sentiments outside the courthouse Thursday. "Even if it's just taking them to a hospital and dropping them off or throwing them in a cab, do something. Don't just sit around and watch them die." Beaudoin said. McKinnon, the Liberal MP for Coquitlam-Port Coquitlam, told CBC that the act would not protect someone from being charged for serious offenses such as trafficking or impaired driving. However, it would mean that the accused would not be charged with simple possession of drugs if they called 911. McKinnon said he has plenty of support in government, and he hopes to see the act passed into law later this year. Those who work with people suffering from addictions agree that the legislation could save lives. "We know that when there's an overdose for someone who's injected drugs, 911 is only called 50 per cent of the time," said Rob Boyd, with the Sandy Hill Community Centre in Ottawa. The Good Samaritan Drug Overdose Act will go to second reading next month.